Making the net better - one nut at a time. 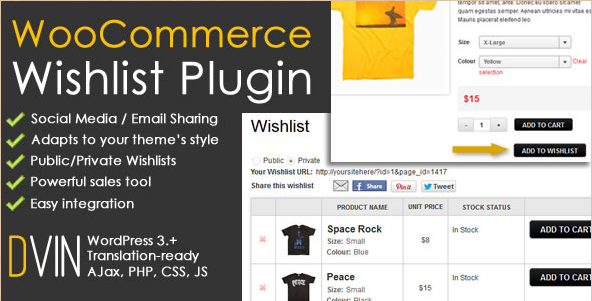 Let’s look at the 10 best WordPress ecommerce plug-ins for 2012, based upon sales to date. E-commerce combined with the power of WordPress offers the ability to create streams of revenue beyond imagination. PayPal File Download is a WordPress plug-in for e-commerce that is fully functional and highly responsive. It offers such key features as the ability to easily sell digital downloads or electronic products in a quick and efficient manner. The plug-in provides a fully automated processing system with seamless Instant Payment Notification (IPN) and e-mail file delivery. In addition, the plug-in also offers a full range of support for up to 26 world currencies. The product manager, download expiration function, transaction viewer, as well as a host of other key functionalities make this plug-in extremely useful for developers designing digital product type e-commerce websites. The plug-in is unique in that it is dedicated to the online sales of digital content. It gives e-commerce website owners the ability to quickly sell and automatically deliver electronic products with little effort. Digital downloads can include such items as ZIPs, e-books, and PDFs, as well as an unlimited number of other similar electronic products. The system is fully integrated with PayPal website payment standards and allows for instant delivery of electronic products via e-mail. Other important and powerful features of this electronic product download plug-in for WordPress include an automatic update checker, updates for life, the option for creating multiple products with various prices, editable product settings page, link expiration functionality, fully editable e-mail messages, various world currency support, built-in IPN, full payment processing, transaction viewer, guided insert in page, in addition to a wide array of other powerful e-commerce features. The best part of this robust and powerful WordPress plug-in for e-commerce is that it requires virtually no code experience. The plug-in comes fully equipped with comprehensive documentation and simple and easy installation. Designers and developers looking to create an incredibly robust and highly functional e-commerce website dedicated to sell digital downloads and electronic products should consider PayPal File Download. There is no smarter and easier way to sell digital content online today than with this popular and intuitive e-commerce plug-in. This useful WordPress e-commerce plug-in comes complete with social media functionality, e-mail sharing and quickly adapts to your themes specific style. It has many other useful features including public wishlists and private wishlists, scalable and powerful sales tools, simple and easy integration, and the ability to easily send and share wishlists with friends via social media and e-mail. In addition, the functionality of this plug-in allows for users to create a wishlist with a unique URL that is displayed to the user. The plug-in is scalable and highly functional when incorporated into a full e-commerce website. Other powerful features include the ability to add a wishlist button that has been custom tailored to match the style of a specific theme, The ability to add customized CSS for the settings page, and the ability to use shortcode displays when incorporating shortcodes into various customizations. The plug-in supports a variety of product variations and is quickly translation compatible and ready. This particular WordPress e-commerce plug-in is highly effective and geared towards increasing overall website revenue generation. This is done primarily through the plug-in’s ability to generate greater conversion rates by offering customers the option to maintain a list of products that they may choose to buy at a later time. In addition, the product is user friendly and intuitive in that it allows website visitors and potential buyers to share their list of products with others via e-mail, Facebook, Pinterest and Twitter. This powerful plug-in includes full and detailed documentation as well as responsive customer support and help files. WooCommerce Wishlist Plug-in is an essential e-commerce tool designed to enhance an online stores usability and functionality, while increasing conversion rates and ultimately an online stores total revenue. Designers and developers seeking an effective and useful e-commerce tool should explore the possibilities that this plug-in makes possible. Amazon eStore Affiliates Plugin is a quick and easy and shockingly fast way to create an Amazon type store. This flexible plug-in performs equally well on the WordPress platform and on the Facebook platform, and offers the ability to import products in bulk from virtually any Amazon location. Important features of this plug-in include direct check out, Amazon remote shopping cart, the synchronization of products, as well as a full range of other highly useful functionalities. In addition, the plug-in offers breadcrumbs, slider autoplay, the ability to import products in bulk, a links no-follow feature, and the ability to exclude customized categories from a specific page. There is also the ability to add a wide range of products including digital products, MP3 type files, physical products, as well as products designed for free delivery. There is even a function for uploading a custom style favicon, and the ability to avoid duplicate entries. Amazon eStore Affiliates Plugin is one of the quickest and easiest ways to have an online store presence in literally a matter of minutes. Tapping into the giant Amazon marketplace and having the ability to sell via affiliate association with this giant in the industry makes this plug-in highly desirable and highly profitable. The plug-in incorporates seamlessly and perfect with the WordPress platform and involves no coding or technical skill requirements. In addition, this product allows you to quickly integrate with Facebook pages to effectively generate a stream of revenue from this social media super-site. The plug-in allows your customers to purchase online from your Facebook business page. It also offers a wide range of marketing tools, Amazon product review functionality, Facebook comment integration, a product image gallery, a slideshow functionality for featured products, full visitor analytics, along with many other extremely useful functions. It is perfectly compatible across a wide spectrum of devices including mobile, tablet and desktop computers. Other powerful features include graphical customization, customizable pop-up Windows, and restricted access functionality. Developers and individuals with absolutely no coding experience can take full advantage of this powerful plug-in in just a few short minutes. E-commerce designers and developers in search of a highly useful and extremely functional credit card payment plug-in should explore the full range of possibilities made available through WordPress Payment Terminal v.2.0. It offers complete integration with PayPal Pro, Authorize.net, Optimal Payments, as well as a variety of other payment gateways. The primary goal of this product is to allow for quick and simple payments via a full range of major credit cards. The best part of this plug-in is that it allows visitors and customers to make payment via your WordPress e-commerce site without ever leaving the site. The plug-in can be integrated into an e-commerce site in literally minutes and be up and fully functional with very little effort. This useful and intuitive tool allows customers to input their own price, designate predefined services, and predefined specific services that a customer will pay for at checkout. WordPress Payment Terminal v.2.0 Is a smart and efficient way to quickly accept all major credit cards on your current e-commerce website, or blog. Other powerful features inherent in this great plug-in include the ability to automatically send “payment received” confirmation e-mails, the ability to attach an order update statement database, and a set up functionality that allows for predefined prices, Lightbox functionality, PHP type credit card validation functionality, compatibility with WP PayPal payment terminal, a full range of shortcodes, customizable widgets, customizable transaction list, simple and intuitive installation, as well as a long list of other important features. WordPress Payment Terminal v.2.0 offers e-commerce designers and developers the opportunity to easily and effortlessly accept major credit card payments and comes with full documentation and support. This WordPress e-commerce plug-in is one that should not be missed for those looking to increase website conversion rates and overall sales. Discover the power of WordPress Payment Terminal v.2.0 today. Paid Downloads Pro is a feature-rich e-commerce plug-in for WordPress based sites that gives online store owners the ability to easily and effortlessly sell digital content. This scalable and efficient plug-in allows for the quick and automatic delivery of digital products. It incorporates the functionality of a temporary encrypted link that may be downloaded by the customer. Payment is offered through a variety of gateways including PayPal, Authorize.net, EgoPay, 2Checkout, AlertPay, as well as a variety of other well-known payment gateways. Easy integration of shortcodes makes installation of this plug-in and various functionalities intuitive, easy and fast. Selling digital content just got a whole lot easier with the advent of Paid Downloads Pro. The plug-in has the ability to create encrypted secure links that offer a limited download time-period. The plug-in is fully translation ready and can be quickly converted into any language desired. Paid Downloads Pro Takes the marketing and selling of digital content and electronically downloaded products to a whole new level. This e-commerce plug-in also offers full documentation and responsive customer support. Other great features include X-sendfile support, full paid download functionality, a live demo page, as well as other useful features. Paid Downloads Pro offers one of the best and most efficient delivery systems for digital data downloads and electronic downloads in the industry. Because the sale of digital content is growing by leaps and bounds, plug-ins such as this one allow e-commerce online business owners to expand their market presence and increase revenue. In addition, the easy to implement temporary download link functions make the plug-in safe and secure and ensure that lost payments will not occur. 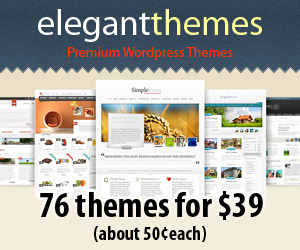 The plug-in integrates perfectly with any number of WordPress e-commerce themes and templates. Explore Paid Downloads Pro and see how easy it is to integrate downloadable digital media into your e-commerce site. JigoShop Products is and easy to install e-commerce plug-in for WordPress websites that simplifies a store owners ability to have an online store and that allows virtually seamless integration with Facebook. The plug-in is versatile in that it can be used on the WordPress platform as well as the Facebook platform, with both offering full functionality. The plug-in allows for full editing, and allows you to show your Jigoshop products on your Facebook page. It offers multiple payment options and can be integrated and up and running in literally minutes. Designers and developers seeking to create exceptionally functional e-commerce stores online will be delighted with the wide selection of design and layout options. JigoShop Products – Facebook Tab also offers a generous number of options for payment methods as well as e-mail order confirmation. Storefront owners can decide to receive payment via PayPal, Bank Wire, Cash on Delivery, as well as a host of other well-known payment gateways. 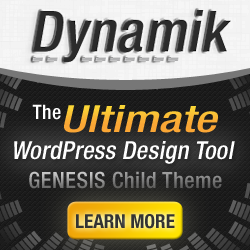 This powerful plug-in is easily installed on any number of WordPress websites and Facebook, and installation is extraordinarily simple and intuitive. In addition, installation is supported by a number of high quality video tutorials that will guide users through every step of the installation process. Store product lists can easily be edited, while individual products can be added or deleted on demand. Other features of this popular and useful e-commerce plug-in include full Facebook and other social media functionality, full product detail list with image galleries, user comment functionality, related product compatibility, pagination, unique slideshow features, as well as an e-mail ordering module that’s fully customizable. Other functionality allows for quick and easy product discount options, category filters, custom search features, cross-selling, along with a number of him social media driven features. Discover JigoShop Products – Facebook Tab today and take your e-commerce online store to new heights. JigoShop Wishlist is a handy e-commerce plug-in that allows you to add Amazon-style wish list functionality to your Jigoshop eCommerce store. Initial setup and integration of this e-commerce plug-in into your WordPress website can be done in a few short minutes. The script is well written and is perfectly tailored for giving each registered customer the ability to get their own customizable wish list. The plug-in is light-weight and highly responsive coming complete with full documentation. It offers the option for customers to customize their list’s name and description. Installation is effortless, intuitive and easy with this popular e-commerce plug-in designed to integrate easily with WordPress platforms. Functionality includes the ability to allow customers to get a unique link to share their list with family and friends, or choose to keep their list totally private and hidden. In addition, JigoShop Wishlist offers complete and comprehensive product support through help files and well established support forms. Giving each registered customer the ability to get their own customizable wish list is simple and effortless with Jigoshop wishlist. Because it is one of the most useful plug-ins of its kind, this plug-in offers extraordinary functionality and tremendous potential for increasing an e-commerce websites conversions and revenue. The plug-in also features a variety of shortcodes, and a wide range of wishlist manipulating tools. Keeping track of a wishlist and giving customers easy options for controlling their wishlist and their list of favorite products is why this plug-in is so important in developing a profitable online store. Discover JigoShop Wishlist today and begin increasing your revenue almost immediately. Jigoshop Wish List allows you to quickly and easily add Amazon-style wishlist functionality to any WordPress based Jigoshop eCommerce store. Here is a powerful and fully functional plug-in designed to work seamlessly with WooCommerce in a variety of useful ways. For example, this plug-in allows users to enter shipment tracking numbers and then display these numbers on a “track your order” and “view your order” page. In addition, it allows for shipping and tracking information to be sent by way of e-mail when an order has been labeled as complete. This robust plug-in is able to create dynamic tracking URLs for companies that have already been listed in the system. When a customer clicks on a link in a confirmation e-mail, they are able to see real-time tracking results without having to actually enter a tracking number at a particular shipping company website. Shipping Details Plug-in for WooCommerce provides excellent functionality for a full range of shipping related operations on e-commerce websites. In addition, this plug-in comes with full and comprehensive documentation as well as responsive customer support, help files and user forums. It also offers integration with USPS, UPS, FedEx, DHL, Australia Post international, Australia post domestic, CourierPost, as well as a long list of other world wide postal, shipping and delivery services. Designers and developers looking to expand their e-commerce functionality via shipping options will find this plug-in to be extremely useful and versatile. It gives website visitors more latitude in how they choose their shipping methods and ultimately track their shipments. Shipping Details Plug-in For WooCommerce is an excellent plug-in that designers and developers should not overlook when considering shipment functionality integration into their e-commerce creations. Viral Coupon is a unique and clever plug-in that gives your e-commerce site the ability to go viral. It offers website visitors and customers a discount if they participate in social media activities such as Facebook like, Google +1 or tweet about your site. Plug-in functionality is streamlined and will automatically detect when a link has been shared and then create a coupon that is automatically applied to any impending sale. This concept while somewhat new is considered a great way to generate interest in your site as well as a viral buzz about your products or services. By generating large numbers of likes and tweets an e-commerce online storeowner can increase conversions and site revenue almost immediately. The plug-in works with coupons intended for free shipping, discounts, as well as a host of other type coupons. Messages are fully customizable and can be easily changed to accommodate any type of website. Set up is easy, and simple via an intuitive operations panel. This powerful and useful e-commerce plug-in allows for seamless integration with WooCommerce, and allows for setting different rates for different categories or shipping classes. In addition, the plug-in allows users to set a variety of rates for various countries around the world. The plug-in offers easy configuration and also allows you to provide special bundled shipping rates for clients and customers who purchase a large number of items. It works particularly well with online stores selling books, music and other items that are often bundled together. For example, storeowners can offer the option of buying one product at regular price and then having the ability to purchase other items at a reduced rate. It also offers full documentation and comprehensive customer support. Bundle Rate Shipping is a great way to integrate bundle type shipping into your e-commerce online store. Designers and developers looking to add this functionality to an e-commerce website will find this plug-in in particular to be easy to use and easy to implement. Ideal for selling DVDs, books and CDs, this plug-in offers store owners the ability to give their customers more options in the initial purchasing stage. This type of functionality increases conversions and overall revenue. Having the freedom and flexibility to set bundle type shipping rates give storeowners more flexibility in how they present their products. Discover the power of Bundle Rate Shipping and watch e-commerce online store sales numbers increase dramatically.